I have to admit that I'm not a big fan of the Easter Bunny. He and I have never been on very good terms. Honestly, I find much of what he does to be messy, wasteful and well, annoying. 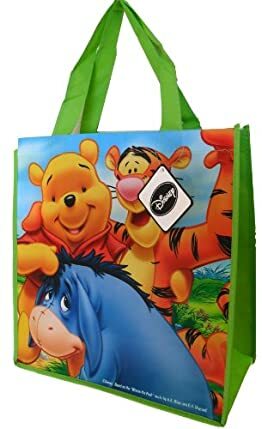 I hate buying Easter baskets. What purpose do they serve after Easter is over? We have 4 kids living in a small house. I have to keep my clutter to a minimum. 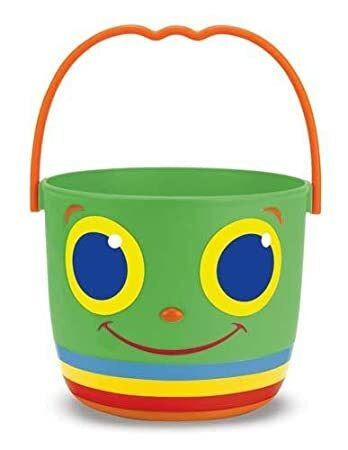 I know that they can be reused next year and I have reused the ones that I have bought, but I would much rather fill something useful with goodies for the kids. Here are some ideas that I've used in the past and some that I will use in the future. 1. Picnic basket. I did this for Corrina one year. I bought the basket, filled it with Easter goodies. 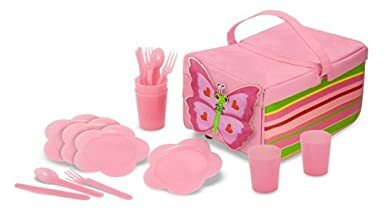 This picnic set still gets used 7ish years later. 2. 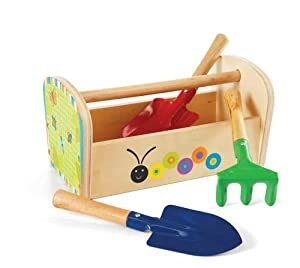 Corrina got a sandbox from the Bunny when she was 3. Her "basket" of treats was a sand pale filled with toys. 3. My kids love to garden with their dad and uncle. 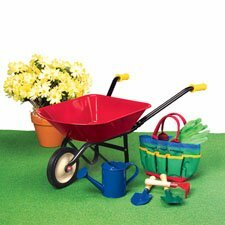 If you have a gardener, why not fill a small wheel barrow or wagon with gardening tools, seeds, and of course a chocolate bunny. 5. Kennedy is 5 and loves to help in the kitchen. 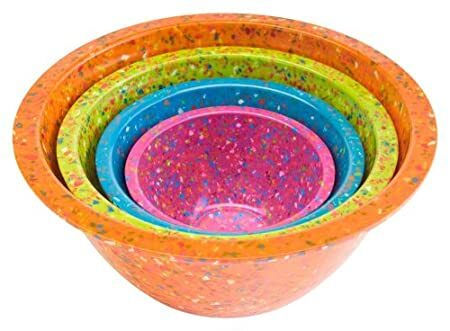 If you have a chef-in-training, you could fill a mixing bowl with an apron, some fun kitchen utensils and a couple mixes. Don't forget to throw on a few plastic eggs for cracking practice! 6. For babies, I love the idea of a bath time basket. 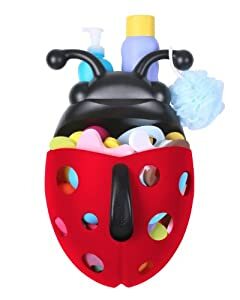 Fill a bath toy basket with toys, washcloths, a towel, bubble bath or wash.
7. Arts and crafts. What kid doesn't love arts and crafts? 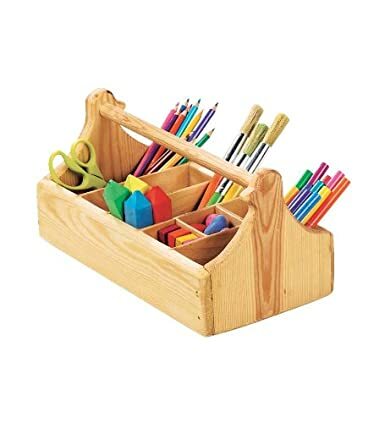 Try filling an organizer with chalk, finger paint, watercolors, paper, glue sticks, google eyes, the list goes on and on. 8. For the reader, you could fill a tote bag with books, bookmarks, a Barnes & noble gift card. For smaller kids, let them take their bag to the library on Monday and sign up for their very own library card! 9. 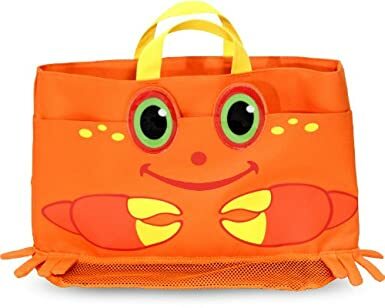 With summer vacation being just around the corner, you could fill a beach tote with pool toys, a towel, sunglasses, and a new suit. 10. If you're not interested in a theme, you could always try using a storage container of some sort. This year, I bought a small one for Corrina and a big one for the other girls to share. I got these at Target. The heart storage boxes are sold individually in stores, but not online. I think I paid 3.99 for one. There are tons of ways to avoid pesky Easter baskets. When it is all said and done, you may need to use a filler. My suggestion is to avoid that awful Easter grass stuff. Try tissue paper instead. It can always be reused for gifts or crafts.